When you book at The Brick House Bed and Breakfast , Tunbridge Wells we aim to make your stay as enjoyable as possible. We are always happy to provide you information on the local area and even help you arrange an itinerary to suit your requirements allowing you to take advantage of all that the local area has to offer. Restaurants: We have special discount vouchers for some restaurants, just let us know if you need these and we can give you more information. 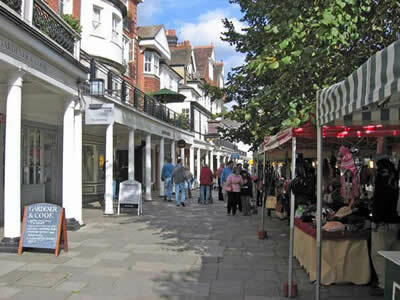 If you need an overview of the restaurants or pubs that Tunbridge Wells has to offer we are more than happy to help. Guided walking tours: Learn about the historic spa town of Royal Tunbridge Wells and discover its 400-year history every Thursday and Saturday at 11.30 am (the tour lasts about one hour). Golf Courses: We are ideally located for you to experience the many golf courses that the area has to offer, from those that cater for beginners all the way to courses who have been home to the Open Championship.